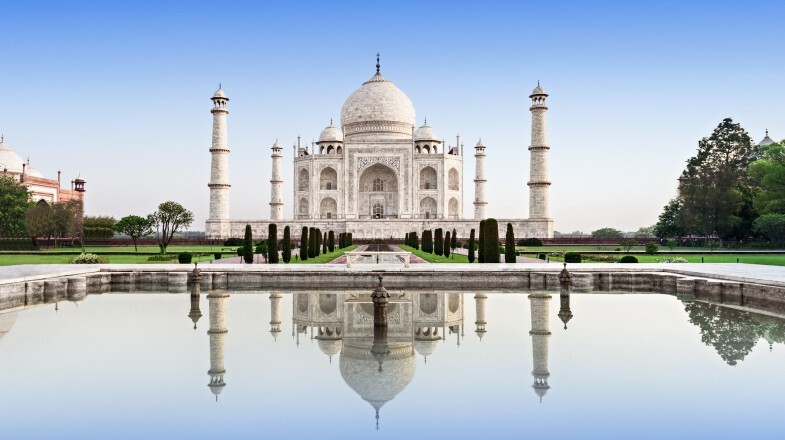 Explore Taj Mahal - one of the current ''Seven Wonders of the World''. Go on a guided tour of the Agra Fort - known as the treasure house of the Mughal Empire. Headquarters of the Radhasoami faith. Visit Delhi, the capital city of India. Explore the beautiful Agra, see the Taj Mahal. Take an elephant on a ride in Amber Fort in Jaipur. Home of the Taj Mahal, Agra is one of the most famous and highly visited tourist destinations in all of India. Whether you're local or a foreigner, you'll be amazed at the beauty of this iconic monument. Agra as a city, however, is less well-known and not as well traveled as other cities in India. Starting with this world-famous monument, the Taj Mahal is one of the 7 Wonders of the World and is a beautiful mausoleum built in 1630 by the emperor Shah Jahan for his wife who died during child birth. It's best to visit the Taj Mahal just before sunset for the best photos. There is also a mini Taj Mahal called the "Baby Taj" which is another tomb and a great attraction to see in Agra. It's not as big, but just because of the nickname "Baby Taj" it's a must see! One of India's many UNESCO world heritage monuments, the Agra fort is an enormous structure made of red sandstone. The history behind the Agra fort is incredibly interesting as the fort transformed from a military fort, to a palace, and then back to a military fort as the hands of government changed and were overthrown. There are so many unique hidden areas to explore here that you can spend hours getting lost. While the palaces and monuments are always great to see, there is an abundance of nature as well in Agra. The Mehtab Bagh is a 25-acre botanical garden just on the other side of the river from the Taj Mahal. Not only can you enjoy the beauty of the gardens, but you can also get an even more beautiful shot of the Taj Mahal from across the river. There will be many different kinds of restaurants around Agra that offer food ranging from Indian, Chinese, Korean, and more, but one famous place to visit is a café called Sheroes Hangout which is ran by acid survivors which holds a special place in the hearts of the locals. When visiting the Taj Mahal, only go through the certified guides with government IDs available and be sure to always negotiate a lower price. You can choose to not have a guide so you can wander the grounds at your own leisure. The best time to visit Agra is from November to February as these are the "winter" months. Agra doesn't have snow and typically the temperatures are around the 70's mark so you should still be comfortable. Going during any of the other months might mean you'll be combatting hot temperatures or heavy rain during the other seasons.